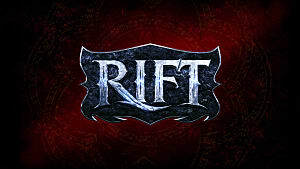 In Rift, you have the option to level up your character by grinding through different quests over and over again. 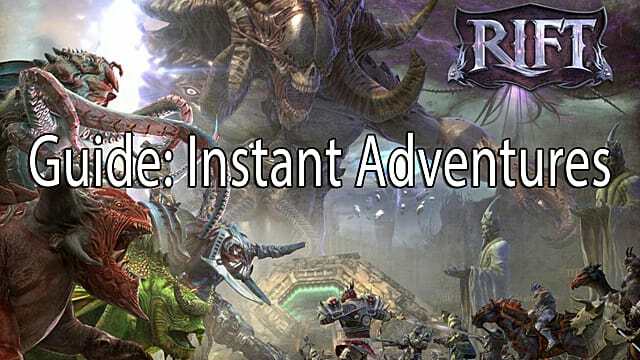 These quests, called Instant Adventures (IA's), require you to kill a certain amount of creatures or to collect a certain amount of goodies. The number of objectives you have to complete all depend on the number of players in the raid. While some players don't mind playing in pick up groups (PUGS) of up to 20 people, not all players share the same sentiment. That is where the trick to allow you to create your own solo group comes in. 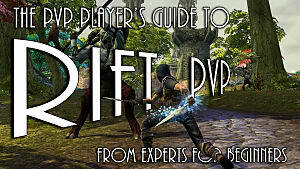 This allows you to minimize the needed quest objectives down from 20 normal and 5 empowered creatures down to just 5 simple creatures. 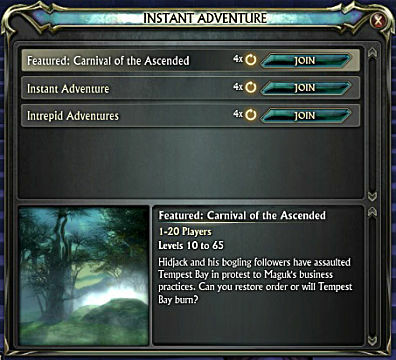 There are three kinds of Instant Adventures available now, Featured, Intrepid, and Normal. 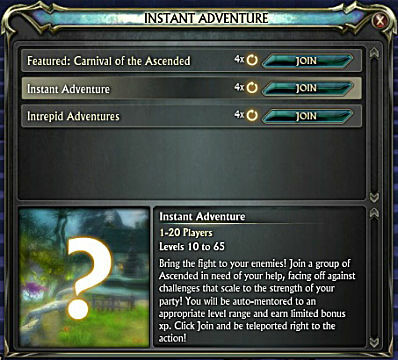 Option One is the Featured IA, which is turned on and off depending on what event is happening. 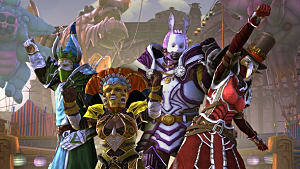 This being the last week of Carnival of the Ascended, you can get frog artifacts and Pinata bags from the quests. 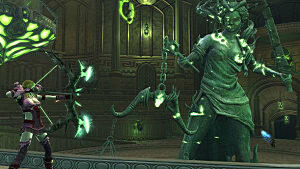 The difficulty level is set at 65, meaning players at level 10 would get bolstered to level 65 to take part. 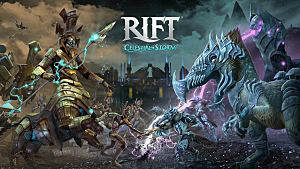 Option Two is the traditional Instant Adventure, which can take place anywhere in the game world of Rift. 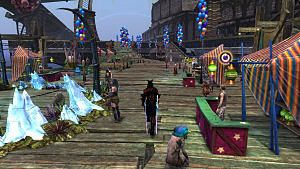 The level of the zones can range from level 10 to level 65. 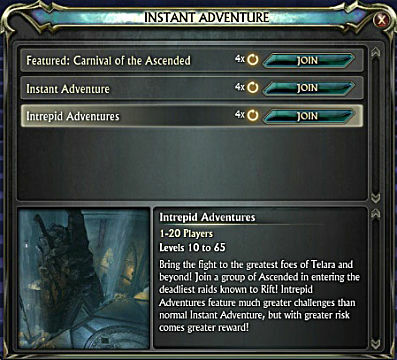 Option Three involves the Intrepid Instant Adventures. 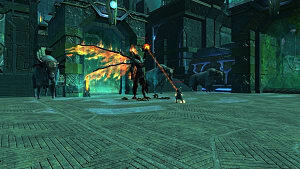 This particular IA is set within the HammerKnell tier 2 raid, with the bosses and fights that are much easier to complete. 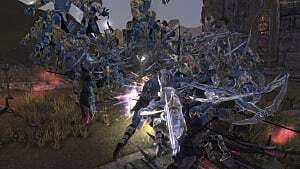 The level of the mobs are all level 65, but the Intrepid version drops some annoying crates that are not worth keeping or using. Those are the three IA versions. 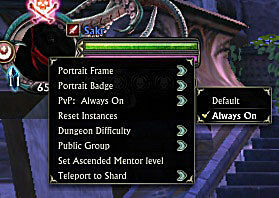 In order to reduce the difficulty and start a new group though, you need to turn on the PVP indicator on your icon. This means that you cannot join a group with another player of the opposite faction. 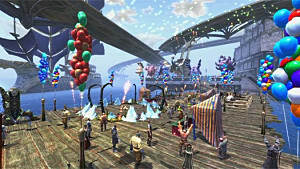 This also forces the game to zone you into a party with players that are on the same side as you. By entering the queue for a normal Instant Adventure, with the PVP turned on, I was able to get a fresh group. Plus needing to only complete 5 normal objectives to beat this level does not hurt at all (versus the 20+ for a normal raid). If people start to join your group and increase the difficulty, then turn off your PVP sign and wait for a member of the enemy faction to join your group. When you turn on PVP again, it locks you from the group and lets you create a fresh IA group.